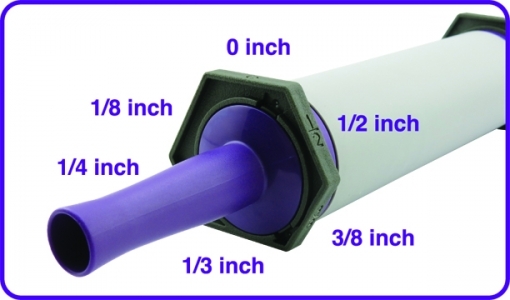 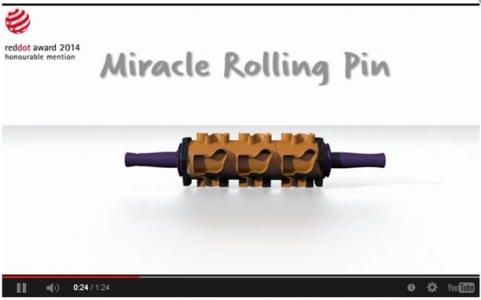 Our Miracle Rolling Pin is a one-stop solution. 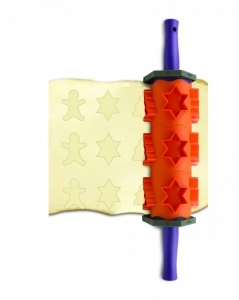 Fit the cookie cutters on the rolling tube, you can roll to cut cookies rather than cutting them one by one. 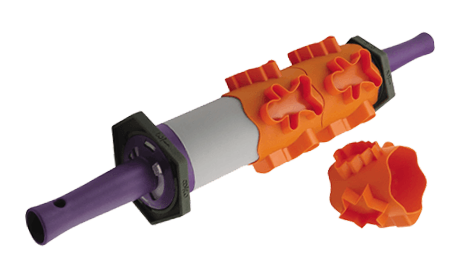 You can rough a dough with the silicone rolling pin which has no-stick surface. 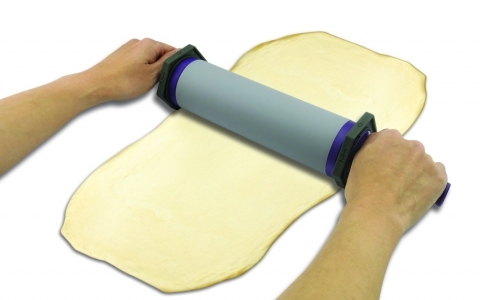 By adjusting the hexagon ring, you can have six different thickness of dough. 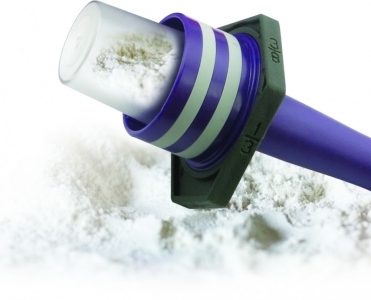 The built-in flour dispenser helps you get out of sticky dough easily without making a mess on the countertop.